Ahh, Spring is finally in the air! I’m ready to spring clean, and freshen my spaces. 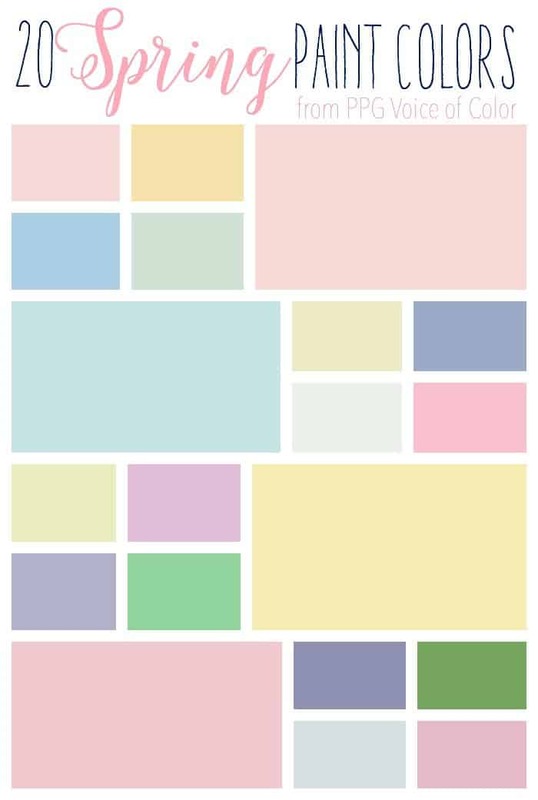 Recently I’ve been drooling over pretty pastels while I’m in Easter mode. I hauled out my paint decks in search of the perfect Spring Paint Colors. If the colors don’t have your spring loving heart singing the names sure will! I used to think that soft pastel colors were only for baby or powder rooms, but now I love bringing spring into my space. It makes everything feel fresh, and relaxing (like summer break is just around the corner). 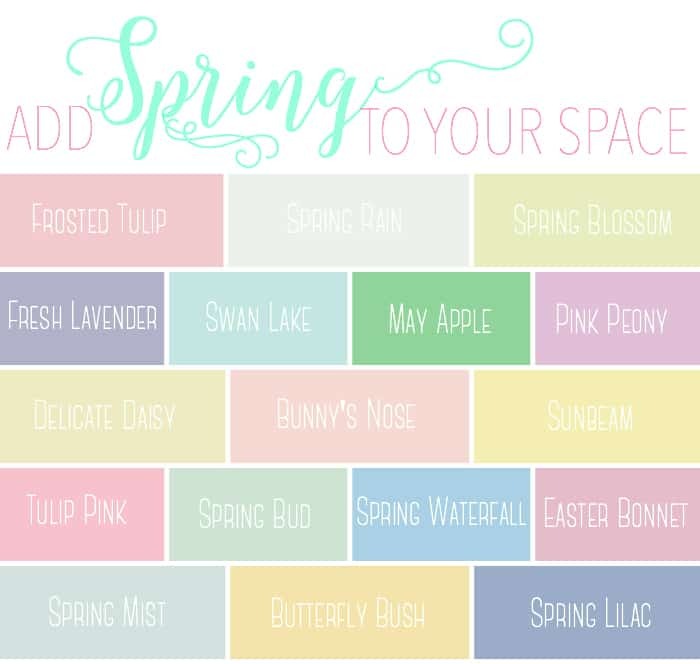 Just look how these spaces incorporate these Spring Paint Colors into their rooms, so pretty! 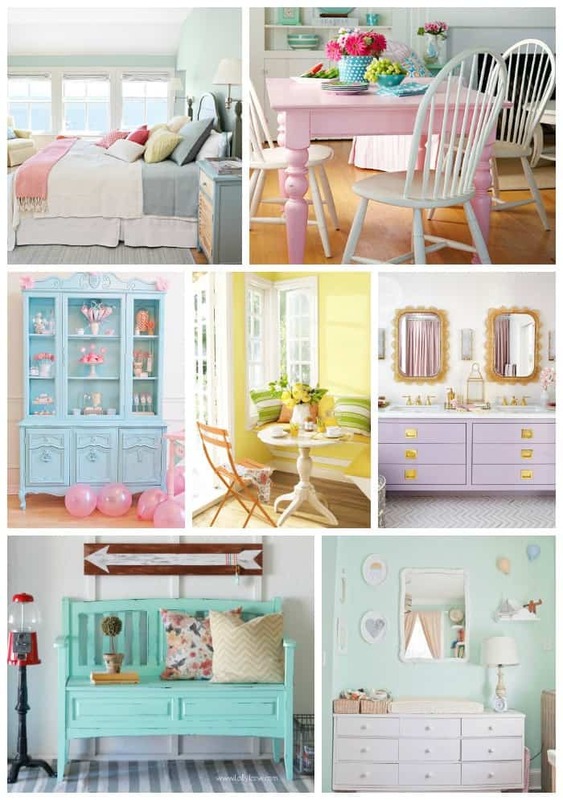 source- bedroom, pink table, blue hutch, yellow room, lilac vanity, teal bench, mint room. Wether you’re incorporating these colors by painting an entire room, accent wall, a piece of furniture or a striking piece of art, you’re sure to be pleased with this soft color palette. Fresh, fresh, fresh, my eyes are screaming for the snow to melt and get these colors into my home, it will be like spring year round! I’d love to hear how you would incorporate these colors into your spaces? Those colors are so fresh! LOVE! Thinking about the colour for my office in the new house. So many to choose from! one of these would sure make it fun and cheery!